A lovely unique bracelet. Three handmade silver bangles with three little handmade fish hanging from it. This bracelet is made from sterling silver and two of the little fish are silver and 18ct gold vermeil and one has been left silver for contrast. They are all hanging from a silver and 18ct gold vermeil loop. The bracelet comes with a hallmark tag. The bangles are 2mm in thickness each fish varies in size, the largest is approximately 2cm in length but sizes may differ as they are all handmade. To take measurement for bangles hold thumb across hand (as if putting on a bangle) and measure around the widest part and please state measurement on the order. Unique and unusual, this stunning bracelet is something you will treasure for ever. Handmade in every aspect and crafted from hall-marked sterling silver. 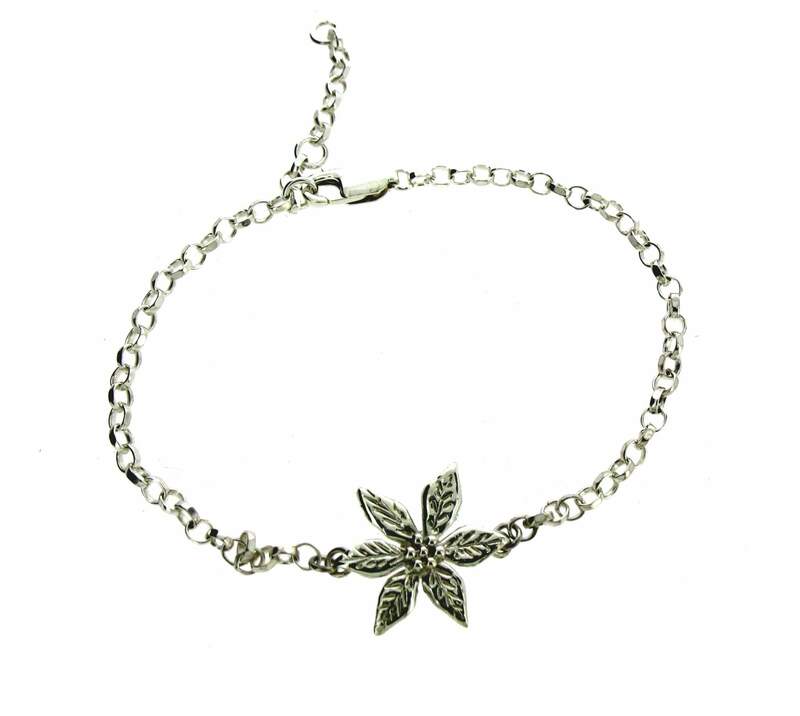 This bracelet is modern with an antique feel which makes it perfect for any occasion. it is finished off with a handmade t-bar catch. Please choose the required length from the drop down menu. See matching necklace and earrings. A hand made sterling silver dragonfly hanging from a sterling silver chunky chain. You can choose from a peridot, amethyst (shown), pearl (shown) or citrine to hang with it. Simple and stylish. The standard length is 19cm, please state on order if you require a different length.